The initiative Pacific Standard Time: LA/LA explores Latin American and Latino arts and culture through exhibitions and events in Southern California in fall and winter 2017–18. As part of the curatorial team for one of the Getty exhibitions, we’ve been asked several times: where is Latin America? What is “Latinx?” Is Spanish the only spoken language in all of Latin America? For anyone wondering the same things, we’ve compiled a guide to the many facets of Latin American and Latino identity. To begin, where is Latin America? Geographically, the term refers to a set of nations belonging to the regions of North America, the Caribbean, Central America, and South America. Culturally and linguistically, Latin America is defined as nations in the Americas and the Caribbean whose residents predominantly speak Spanish or Portuguese—two of the many languages descended from Latin. This definition has proven to be difficult, as there are many nations that are not considered part of Latin America despite their geographic locales. The Guianas, for example, are geographically part of Latin America yet were never occupied by Portugal or Spain, but rather France (French Guiana), the Dutch Empire (Suriname), or the United Kingdom (Guyana). Likewise, many of these nations do not predominantly speak Spanish or Portuguese. There are also other nations that are geographically and culturally related to Latin America, but that are political territories of other nations—such as Puerto Rico, which remains a territory of the United States. 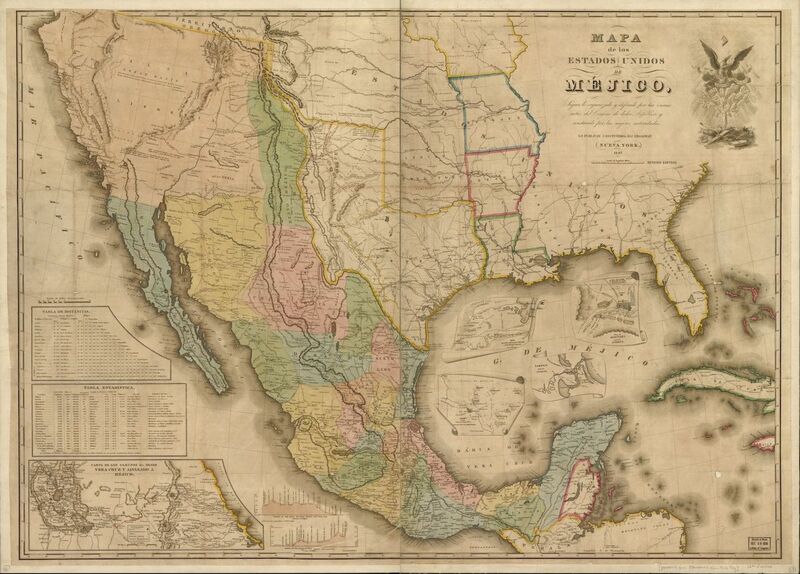 By Chevalier’s definition, all American nations that speak a language of “Latin” origin should be defined as “Latin American.” However, the United States, where Spanish is and was one of the dominant languages, is not technically considered part of Latin America, even though in 1847, Mexico encompassed territories as far north as Oregon and as far east as Utah. “Latin America” came into wide use only in the middle of the twentieth century. Indigenous peoples inhabited the Americas for thousands of years before the European conquest, and likely did not think of themselves as part of a single geographic entity. Hispanic, Latin American, Latina/o, Latino@, Latinx…Oh My! According to the US Census Bureau, the US Hispanic population reached approximately 57 million in 2015. California had the largest Hispanic population of any state (15.2 million), and Los Angeles County had the largest Hispanic population of any county (4.9 million). But what does the term “Hispanic” mean, and whom exactly does the term represent? 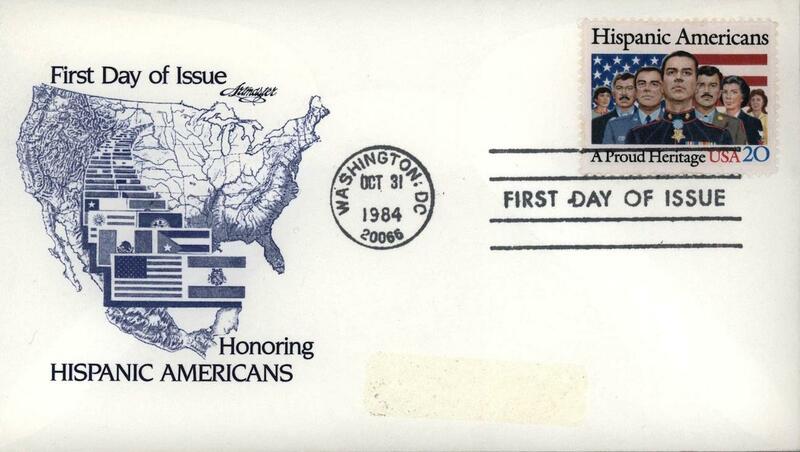 The term Hispanic was first introduced by the US Census Bureau in 1970, after groups such as the National Council of La Raza advocated for the category as an alternative to classifying Mexican, Cuban, and Puerto Rican immigrants as “white.” Today Hispanic covers people of a variety of ethnic identities who have origins in Spanish-speaking countries—basically Spain and all of Latin America (minus Brazil, where the official language is Portuguese). The US Census Bureau now counts both Hispanics and Latinos in the same category. Latin America has a rich and diverse history of indigenous cultures, European colonization, African slavery, and global immigration that makes it complex and difficult to describe its people with a single ethnic category or identifier. 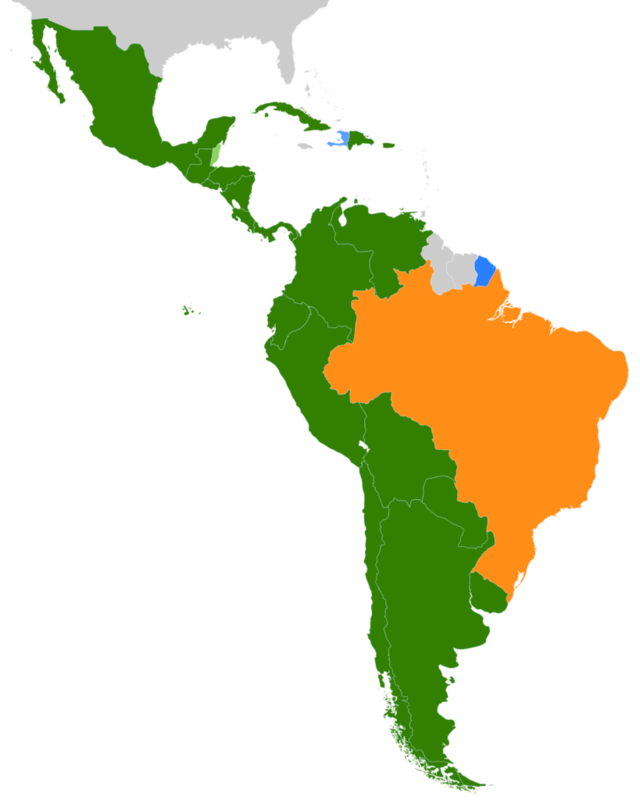 People in the US who have origins in a Latin American country occasionally self-identify or are referred to as Latin American, but many prefer the term Latino/a (for Latino, masculine, or Latina, feminine). What’s the difference between Hispanic and Latino/a? Primarily, the reference to Spain. Hispanic refers to linguistic origins from a Spanish-speaking country, in particular Spain. Latino/a refers to people living in the USA who have ethnic and cultural origins from a country in Latin America. To add nuance, the terms Latino and Latina are gender-identified. So a male-identifying individual with direct or ancestral origins from Latin America may identify as Latino, while a female-identifying individual would be Latina. However, for individuals who fall outside the gender binary of male/female, Latino/Latina, the term Latinx is an additional option to express gender identity that exist outside the constraints of the binary. Hispanic, Latin American, Latino/a, and Latinx are not considered racial terms or descriptors of race; these terms are used only to describe ethnic and cultural origins. For example, these umbrella terms encompass indigenous Latinas, Afro-Hispanics, Asian Latin Americans, and white Latinxs. Even so, some individuals choose not to self-identify by any of these terms and prefer to use other descriptors that more appropriately represent their personal identity. For some, the terms Boricua (of Puerto Rican descent), Chicanx (of Mexican Descent), Bicho/a (of Salvadoran descent), or Blaxican (of Black and Mexican descent) better describe who they are. Because Latin American identity can be complex and contradictory at times, it’s no surprise that Latin American art is, too. Hispanic, Latin American, Latino/a, and Latinx are threads of color that intersect at various points to create an elaborate and intricate pattern of identities. Map of Mexico showing the approximate geographic locales of twenty-three indigenous languages. Source: 68 voces.mx. See this graphic larger. Outside of Brazil, where the predominant language is Portuguese, Spanish is the dominant language spoken throughout Latin America. Both of these Latin-derived languages are recent imports to the Americas. Latin America is home to hundreds of indigenous languages; before the European conquests, it is estimated that there were as many as 1,750 of them. As with geography and culture, language in Latin America is remarkably varied. 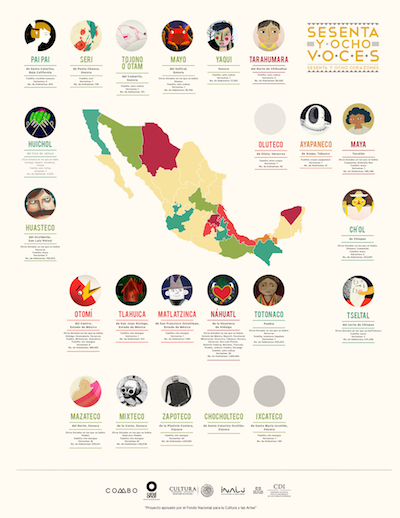 In Mexico alone, 68 distinct indigenous languages are spoken; they can be further broken down into 364 dialects. The Mayan language family consists of 28 languages, and as of 2006, several million people speak it as a first language throughout Guatemala, Mexico, Belize, and Honduras.(2). Nearly 4 million people in Peru today still speak Quechua, the language spoken by the Incas. The indigenous languages of the Americas have contributed many words to modern English and Spanish. Many common English words come from the native language of the Aztecs, Nahuatl, which today is spoken by 1.5 million people in central Mexico. 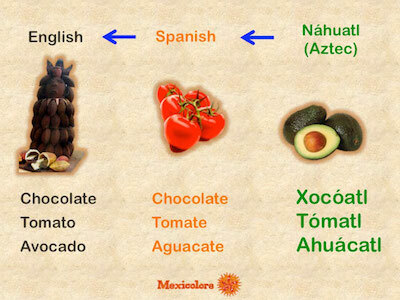 The word avocado comes from that Nahuatl word ahuacatl (literally, “testicle”) and cacao from the word cacahuatl. Jerky comes from the Quechua word ch’arki (literally, “dried flesh”). Shark comes from the Mayan word xook (pronounced “shok”). Indigenous languages of the Americas are still spoken today, although in many cases they are critically endangered. Thanks to efforts by indigenous communities and scholars of native languages and to advancements in technology, indigenous languages have a greater chance of staying alive. This year, Peru made history by launching the first-ever Quechua news broadcast, Ñoqanchik. A recent initiative called 68 voces (68 Voices) supported by the Mexican government’s Fund for the Culture and Arts (FONCA) created a series of animated shorts that highlight fifteen native languages from Mexico. Colombian rappers Brayan and Dario Tascón have amassed a following by rapping in one of the indigenous tongues of Colombia, Emberá, which is spoken by 80,000 Colombians and Panamanians today. Los Angeles County today is home to roughly 3.7 million Spanish speakers, but some 1,205 other indigenous languages are also spoken here, including Aztecan, Mayan, Arawakian, Quechua, and Tupi-Guarani. Institutions such as UCLA and the Semillas Community Schools help keep some of these indigenous languages alive by offering courses in Quechua, Nahuatl, Mayan, and Zapotec. 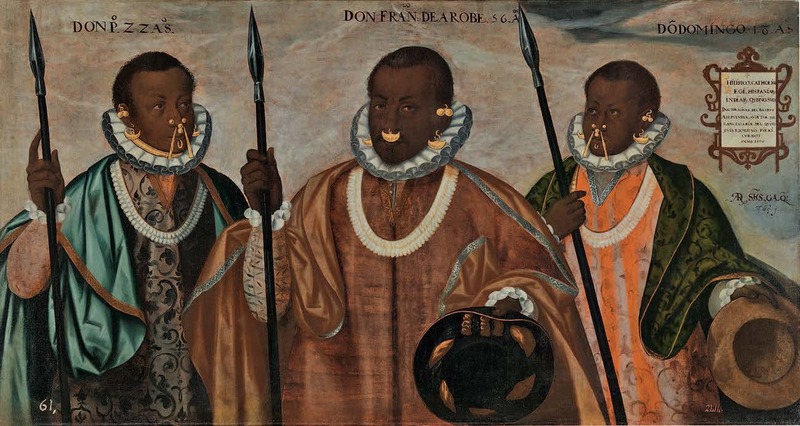 The African diaspora in Brazil and throughout the Americas is one of the “five great African diasporas” connected to the transatlantic slave trade. (3) From the fifteenth to the nineteenth centuries, Africans—primarily from the central and western parts of Africa—were captured, traded, and sold into slavery and brought to the New World as forced labor for the Portuguese, the British, the French, the Spanish, and the Dutch trading nations. There is and was a broad diversity of black experience in the Americas. During the colonial period, some free black people and “mulattos” (a colonial term to describe people of interracial parentage) opposed the Spanish imperialist rule, while others participated in various ways in the European conquest. Some of these individuals also worked in Andean chácaras (ranches), owned mule-skinning businesses, ran cacao plantations in Santiago de Guatemala, or worked as farmers and cowboys on Mexico’s Pacific coast, among many other roles. According to data by the Pew Research Center, about 130 million people of African descent live in Latin America. Currently, Brazil has the largest African diasporic community in Latin America, and the world. Numerous other countries and communities throughout Latin America have deep African roots, including Bolivia, Peru, Colombia, Venezuela, Panama, Dominican Republic, Cuba, and Mexico. The presence of African heritage in Latin American culture is visible in the arts and music of many regions. For instance, reggaetón was invented by black Panamanians in the 1980s, inspired by black Jamaican dancehall music by way of Puerto Rico. However, Afro-Latin-American and Afro-Latinx identity has not always been visible or respected in mainstream Latin American and US culture. Only in 2015, for example, did Mexico begin to count individuals of African descent in their own separate category, as black or Afro-Mexican, for their general census. This 2015 census showed that 1,381,853 individuals identify as being of African descent, representing 1.2% of Mexico’s population. (4) Currently, there is a movement of individuals creating communities, festivals, and literature to address their Afro-Latinx identity and culture. The Afro-Latino Fest in New York City this past July, for example, celebrated and shone a light on the existence of African heritage in Latin America. One of the Pacific Standard Time exhibitions specifically addressing Afro-Latinx identity is Axé Bahia: The Power of Art in an Afro-Brazilian Metropolis at the Fowler Museum at UCLA, which explores how artists have responded to Afro-Brazilian identity in Bahia. 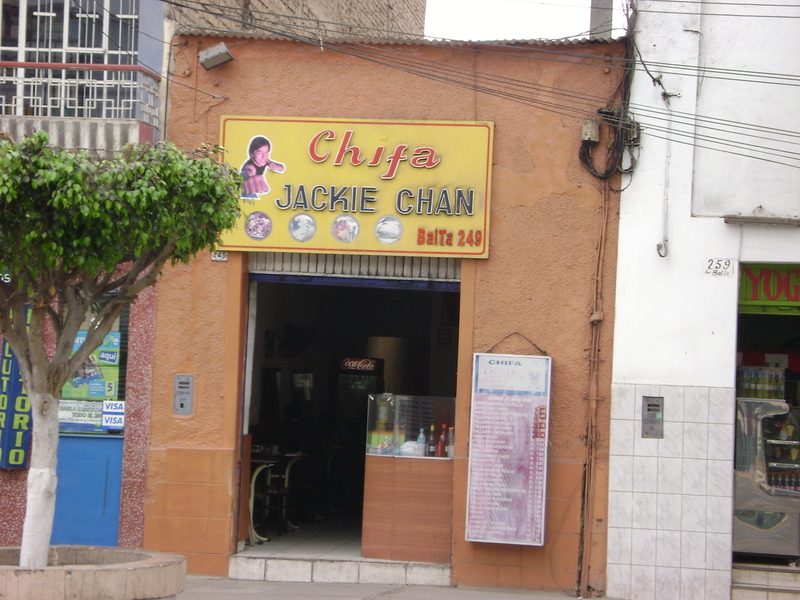 There are 6,000 Chinese restaurants (called chifas) in Peru. 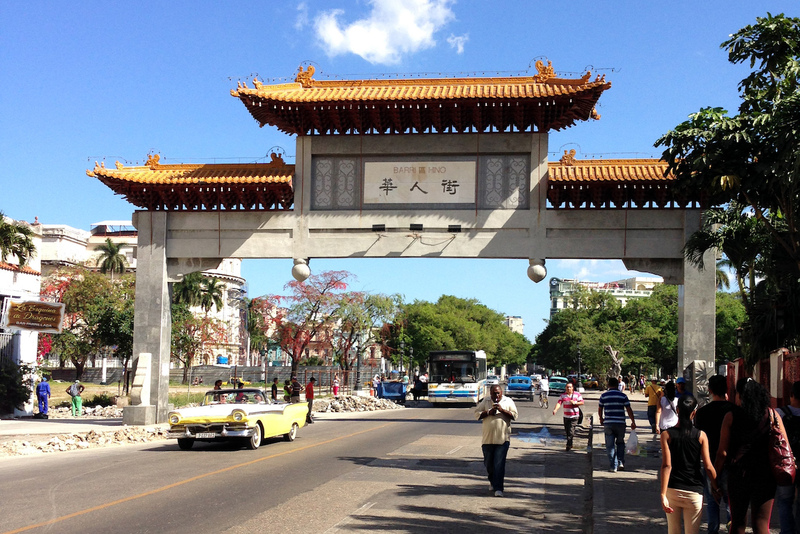 Havana is home to one of the oldest Chinatowns in Latin America. There is a flourishing Japanese community in Brazil. Almost 1% of the population of Latin America, over four million people, is of Asian descent. Yet the history of this East Asian diaspora is not well known outside of Latin America. The so-called “abolition” of the transatlantic African slave trade in 1807 created a vacuum in the free labor force, leading the Portuguese, Spanish, and British Empires to seek new low-wage laborers in East and South Asia. Citizens of these nations were kidnapped, deceived, or sold into indentured servitude, which was equal to slavery in all regards except in name. Laborers from East and South Asia were dispersed throughout Latin America. 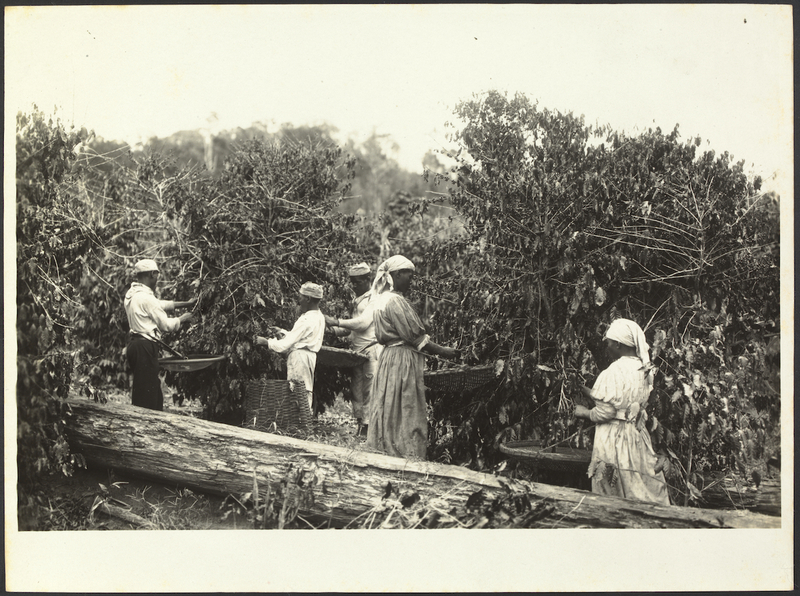 Laborers of East Asian descent were primarily sent to the Caribbean and Latin America to work on sugar cane, cotton, and coffee plantations, alongside an existing population of African slaves. In Peru, Chinese laborers were integral to the construction of the Andean railroad and worked in the silver mines. After the abolition of the African slave trade, the owners of Brazil’s numerous coffee plantations were in need of a new labor force. 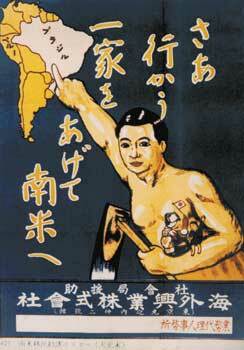 The Japanese government encouraged Japanese laborers to migrate to Brazil and Peru. Although many of these laborers voluntarily agreed to work for a contracted number of years, they became entrapped in the indentured labor system and suffered harsh labor conditions. The subsequent world wars led to more waves of Japanese immigration to Brazil, as did the U.S. exclusion of Asian immigration in 1924, which led many East Asian refugees to seek a home in Latin America. Between 1908 and 1961, approximately 237,000 Japanese people immigrated to Brazil. In Brazil today, 1.3 million people are of Japanese descent—the largest diaspora of Japanese people in the world. In the early twentieth century, Havana had one of the largest and most vibrant Chinese communities in Latin America. 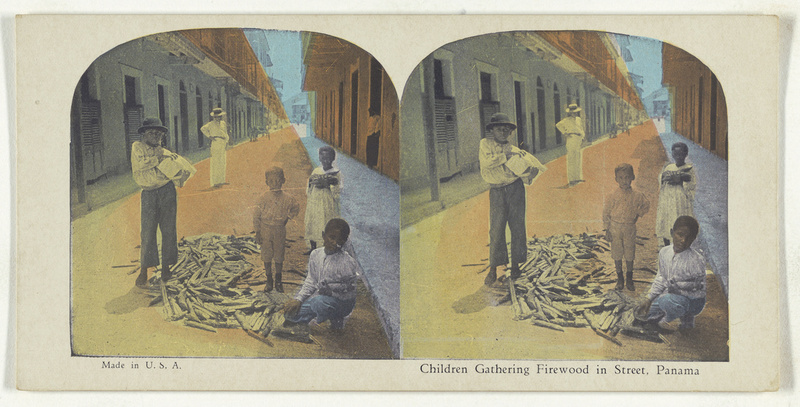 Chinese indentured laborers were brought to work in the sugar and tobacco fields alongside the existing population of African indentured laborers. Chinese laborers fought in Cuba’s Ten Years’ War (1868–78) and were essential in the battle for independence from Spanish rule. (5) Today there are fewer than 150 native Chinese people still living in Cuba, but their traditions still live on. Traditional Chinese opera is still performed, and a reed instrument originating from China, called the corneta china in Cuba, remains a staple of Cuban music. Many of the diasporic populations of both African and Asian descent in Latin America have embraced their dual heritages. Despite the persistence of racism, systemic discrimination, and forced assimilation, many of the Afro and Asian Latinx communities within and outside Latin America continue to celebrate and discover their multilayered heritages. To sum up, the heritage of Latin America blends indigenous, European, African, and Asian peoples, languages, and cultural traditions. There is no one Latin America, or Latino or Latin American culture—rather, it is all these things. 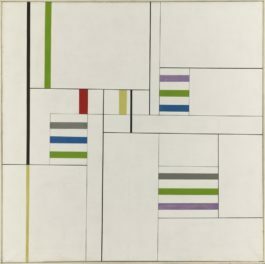 Many modern and contemporary artists have addressed issues of Latin American identity in their work—to discover more, we encourage you to explore the group of Pacific Standard Time exhibitions examining themes of exile, migration, immigration, and borders. 1. Thomas H. Holloway, A Companion to Latin American History (Hoboken, NJ: Wiley-Blackwell, 2011), 4. 2. Robert J. Sharer and Loa P. Traxler, The Ancient Maya, 6th ed. (Stanford, CA: Stanford University Press, 2006), 23. 3. Matthew Restall and Jane Landers, “The African Experience in Early Spanish America” The Americas 57, no. 2 (2000), 167. 4. Perfil sociodemográfico de la población afrodescendiente en México (Aguascalientes: Instituto Nacional de Estadística y Geografía, 2017). 5. Mauro García Triana, Pedro Eng Herrera, and Gregor Benton, The Chinese in Cuba: 1847–Now. (Lanham: Lexington Books, 2009). 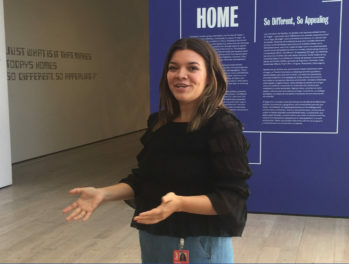 I’m a research assistant at the Getty Research Institute, where I have been working on the exhibition Golden Kingdoms: Luxury Arts in the Ancient Americas. Hi Nolan! Perhaps this condensed version over on our Tumblr might be of use to you. Thanks for your feedback. Yeah, sure. There are many facets of Latin American and Latino geography, culture, and heritage. I hope that helps. I don’t identify myself according to what pop culture artists claim in their works- whether they be modern, contemporary, or post-modern. It’s a nice interpretation, but it just simply illustrates yet another way of classifying people, except now it is in a more general way than ever. Stating in the second to last paragraph that “There is no one Latin America, or Latino or Latin American culture—rather, it is all these things,” somewhat contradicts the LatinX classification because it is lumping it up into a “one.” What would you call indigenous peoples of the Americas that haven’t been genetically modified by the hybridity wave from europe or any other part of the world? It is nice when connections are made between art, history, culture, and peoples’ lived experiences. However, this piece simply becomes just an addendum to your exhibit, which is, well, just art- open to interpretation. Look up the T-shirt that refutes the labels of latino, hispanic, etc. Now LatinX can be added to that list. Thank you for this great summary! Is it available in Spanish? And, can it be used under Creative Commons for the classroom? Oops, just saw the the Creative Commons Attribution 4.0 International License on the footer. Thanks again for your work! It would have been worth to mention that there was also a relevant diapora to Latin America of Jewish Sephardic descendant peoples and also the Ashkenazic who migrated to Americas at the times of WWII. This article was extremely interesting. I found it interesting that the term Latinx is an additional option to express gender identity that exist outside the constraints of the binary I never knew that word and I love learning about new vocabulary. In this society, you see a rise of assumption and disrespect towards the Latino and Latin American community. This is because the U.S. society does not feel they need to put effort into acknowledging how people identify themselves. Hispanic, Latino, and Mexican, are not the same. This meaning, you can’t put everyone under the same category. This article is a good eye opener to those who believe the contrary, and need to learn that they should respect those who want to be identified under the right name. In addition, it is very important to learn the history behind the United States to get a better understanding of what it was before it became the U.S.
After reading the article I learned plenty of new information about Latin American and the historical make up of the countries within its region. It spoke about the populations and languages that originated and influenced Latin America’s culture today. The quote “There is no one Latin America, or Latino or Latin American culture—rather, it is all these things,” is a new perspective that I was able to take on after reading the article. Latin America has a rich history of different cultures that come together to make up Latin Americans culture today. It’s eye-opening to learn about the different sub-ethnicity’s within Latin America, and all of the languages that aren’t Spanish; the languages that are still thriving and making head-way with steadily increasing representation in media. I drew parallels between Latin American countries and the US, after noticing the different ways that people migrated to Latin America, and the systemic oppression that was endured long after “freedom.” The US and it’s participation in wars and banning of immigrants from specific countries has heavily influenced the diasporas of people that immigrated there. People of these diasporas seem to be under-represented as well, Mexico didn’t add “Afro-Latinx” as a census option until 2015. When I think of people from Latin America, the extremely diverse picture that was painted here doesn’t come to mind. It will now, as well as a reminder of the importance of representation. I find it quite fascinating to read about the ethnic diasporas which have arrived in Southern America! If anyone else shares this interest as I do, I would recommend looking into the Indian diaspora of Guyana- it is also rather interesting! I liked how this article informed me with new information rather than being angry at the reader. It made it easier to read and comprehend the article. I also liked the fact that this gives me a new perspective and that people get very offended by titles, which is something new to me. This article is very interesting and informative, but I was confused as to what Latin@ meant since the article never explained it. I did some research, and if anyone else was curious the @ symbol is supposed to be a mixture of an a and an o letter, so Latin@ is the same as Latino/a. I couldn’t find a consensus as to how you pronounce latin@, but the two most popular pronunciations are ‘Latino and Latina’ or ‘Latinow’ with an -ow as in cow. I found it quite interesting to read about abreviations like latin@ or latinx. This is the first I have heard of those. It makes it quite easy, although at first I didn’t understand it that well. In addition to this, it was cool to read about how diverse every culture is and how many different variations of ethnicity exist. I found this article was pretty interesting. I learned that In the early twentieth century, Havana had one of the largest and most vibrant Chinese communities in Latin America. This is something I never new before and it was cool to learn new facts that I didn’t know before. This article talks about people of different cultures in Latin America. It also talks about the out law of slavery. It also says how Spain gets there way. Super fascinating rundown of the different ethnic diasporas present in Latin America. I was unaware of the large East Asian population present in the area, as well as the meanings of terms like “latinx” and “latin@”. The vastness and variety within the culture (or cultures) is really interesting. I really appreciated the historical statistics presented in the article. I think that outside of the U.S. citizens really get a narrow focus about the populations of other countries. I’ve personally been to Belize before and can confirm how strong native identities are. While there multiple tour guilds commented on having strong Mayan heritages, often talking about how in the country they hated being grouped into Spanish origin. This article does a good job of showing just how ethnically diverse other countries are despite how media may portray them. I like how the article shows how these groups have shaped the cultures of their own regions. Well written and researched. Latin America contains multitudes of culture and not all of them are necessarily Latin. The blend of different cultures makes it difficult to define Latin America as a whole, because not all of them are of Latin origin. The article defines a Latin country as a country whose people predominantly speak a Latin originated language, Spanish or Portuguese. Many different languages, besides Spanish and Portuguese, are spoken across Latin America. Hundreds of Indigenous languages are still spoken as a first language in Latin America. Eastern Asian cultures and Black cultures have as well developed in Latin America, because of earlier history there. 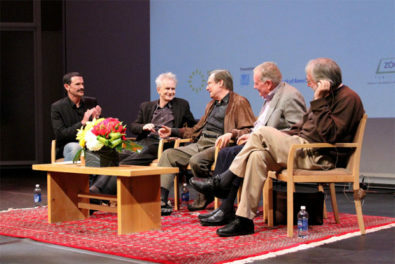 Which shows that many different cultures are still thriving in Latin America. This quote really stood out to me because we are of all “intricate pattern of identities”. I am Mexican on my dad’s side and white on mom’s. Some people just assume I am white because my physical appearance shows up at white. Blonde hair blue eyed. Not the stereotype dark hair and tan skin. The Mexican culture is from Latin America which is a wide range of different country. THAT is what a Mexican is. I am a proud Mexican. Not one person in this world is all Mexican, German, white the list goes on. We are all of multiple different races and ethnicity. Yes, Mexican culture can get white privilege. This is because of physical appearance. So just because you are a white Mexican does NOT mean you are a “fake Mexican”. Be proud of your culture. Mexican culture like others have their own history. I really like the explanations and definitions of all the different types of latino/a’s. I never knew a blaxican was a real term. The more you know! I can’t wait to tell my friends about this! I also loved the part about the East Asians living in Latin America. I’m so glad they get to taste their wondrous Chinese food by eating at the Chifa restaurants all over Peru. Delicioso! It’s interesting that a very large factor in immigration to Latin America was labor, driven by the open market. I see how a gender neutral term may be necessary, but I’m not sure I understand how race (skin color) correlates with with gender on a scale. Also, if “Latinx” is the neutral term what is “Latin@” represent? What I find to be really interesting is that for people that use “latin@” and “latinx” and that shows inclusion for people that Identify other than male or femaie. Something worth noting though is that because these are a social term and not grammatically correct, for people that rely on Text-to-Speech, it can be hard to register because the system does not pick up on it. Articles like these are always great to have, as many of the nitty gritty about population composition is usually lost to the harder to find sources. And really a country is made up of the combination of political geography and geography, and cultural compositions of it’s citizens and surrounding countries. Actually knowing the cultural composition of a country is what seriously makes it stand apart from other countries around it, and is a big chunk of history of what happened. Something I found very interesting in the article was when it talked about the different languages important to different Latin American cultures, but because the culture has evolved many languages are in danger of experiencing extinction. For example, there’s an indigenous language in Colombian called Emberá, which is spoken by 80,000 Colombians and Panamanians today, and to compare the population of Colombia and panama to the amount of people that speak the language really puts into perspective how much the language has disappeared throughout the year. It’s interesting and sad to see and hear about. This article opened my eyes to the fact that there are so many ethnicities within Latin America that consequently, some fall through the cracks and do not get the recognition they deserve. Not that one is better than another but, some are overpowering in comparison to others. That being said, Latin America is home to such a variety of cultures, it truly thrives on a melting pot of diversity. Whether it is right or wrong, these sub-cultures do not clash, because they know their place. The stereotype that Latin American is “Spanish” is not untrue but an unfinished story. As a society playing into the media, we clump all forms of Latin Americans together forgetting about the individual (their beliefs and their culture); this is completely disgraceful and a form of racism. We are not allowing these minorities their pride for their culture which is something these human beings are entitled to. Sadly, some of these sub-cultures have settled for a repressed life in society thinking there is no better option and that is just how it is. Well, it is time WE as a nation unite and stand behind them to prove to them and everyone else that they deserve better. I thought it’s really important to recognize the different ethnicity and cultural blends that make up our modern Latin America. To me, what really stuck out was how now more and more people are being recognized for their cultural background as well as their languages. I found it interesting how there’s these pockets of people in Latin America who as a result of immigration or slavery, still have a strong sense of culture and blended community in their country. I think that everyone has their own unique background who makes them who they are, and I was fascinated when reading about the modern way we look at what being a Latina/o or coming from Latin America means. This article was very eye-opening to me, it was interesting learning about the cultural makeup, heritage, and geography of Latin America. It was very interesting to learn that Latin America contains many different cultures and ethnicities other that Latin and that in the 20th century Havana had one of the most populated and cultured Chinese communities in Latin America. It was also insightful to learn that the culture of Latin America has many different cultures with in it and that is what defines it. This article was really well put together with the information that was about all parts of the Latino culture. The articles addressed issues I didn’t even think about like weather people didn’t go by the two mane genders. I was also able t see how many other cultures influenced the Latin culture. 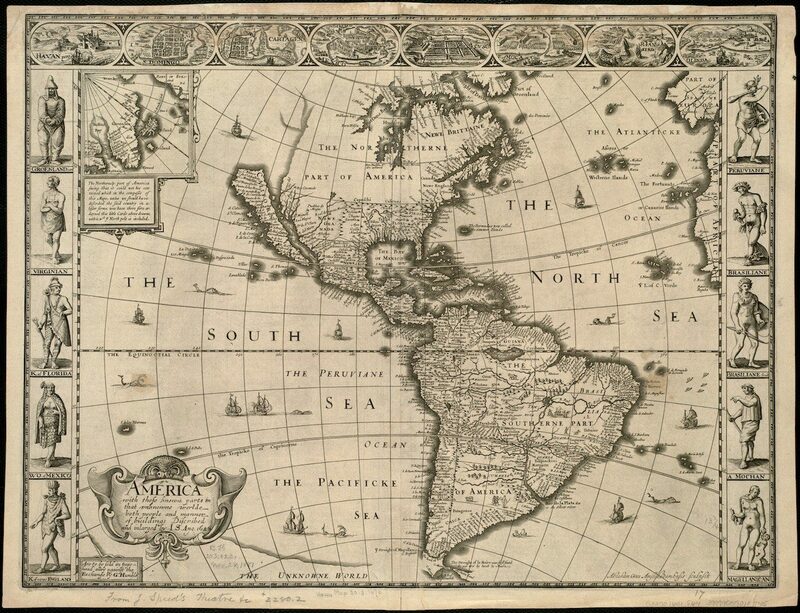 This article provides a deeper insight of where the origins of Latin America come from. The influences that have helped shape and form the culture that is found within Latin America. There are a lot of things that compromise being from Latin America, and having a better understanding of the different identities is key. I learned a lot of from this I never would have expected that Havana had such a large Chinese community back in the day that is very interesting. I have noticed that in society with the amount of political differences we have, we tend to blame the things that threaten us. I notice that lately we feel threatened by different races especially when it comes to the Latin culture. I am so interested to read about their history and different perspectives on us and our what we have to offer in America. Something I found the most interesting was the Latin@ term. I had never heard of it and honestly thought it was a typo when I first read it. I really enjoyed reading this article and found the entire thing interesting as a whole. I wasn’t aware that people preferred being called different things depending on the race. i thought everyone was just called the generalized term of Hispanic or Mexican. It was eye-opening and I learned a lot. Cultures all around the world are generalized, seen as separate and distant from each other. It’s interesting to think that everything is influenced by each other and mixed together. The United States is the most famous “melting pot,” but all cultures have layers and sub-cultures. Many people think of Hispanic and Latino/a culture as one thing, not the diverse and varied experience it really is. I personally haven’t thought about Latin America this way before, and the history behind these different pockets is very interesting. This article is interesting due to the way the info that was given to us.Like the term they use to describe different people or race.i learn about Latin American and the historical make up of the countries within its region.It also spoke about the populations and languages that originated and influenced Latin America’s culture today. Latin America has diversity and that’s what it makes her special. 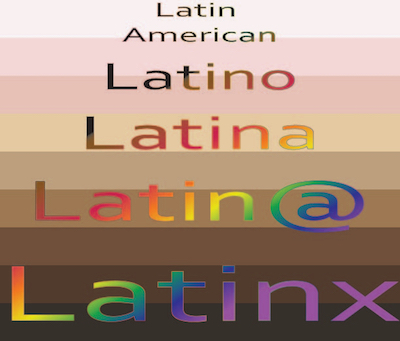 Latinx have different race backgrounds because they may have come from Afro-Latinos, Asian-Latinos. Being Latino doesn’t mean that you speak Spanish because Latin America is composed by many countries that speak Spanish but not necessarily all of them. Latin America also has countries that speak Portuguese, English and French. Everyone decides how they identify as and they need to respected, society likes to label people just by their appearance and not by their identity. I’m sure like most people, I found this article fairly surprising and informative. I was never fully aware of the meaning behind the different terms such as Latina/o. I had also never heard of Latinx. One of the things that’s sad to see in our society is how often different races are disrespected and consistently stereotyped. I think it’s astonishing how large of a Japanese population (1.3 million people) there are in Brazil. I have always thought that there were very few Asians in Latin America because they don’t occupy the majority of the population and the media doesn’t usually show minorities. I was also a little surprised to learn that just because countries are part of Latin America geographically, doesn’t mean they are part of Latin America. For example, Puerto Rico is a United States territory. I feel like I have heard this before, but It never stuck. I also didn’t know that Guiana, the French Guiana, and Suriname aren’t part of Latin America either, but it makes total sense because they predominantly speak Dutch and French. The last thing that struck my attention was that gender non-binary people who live in the U.S. and are Latin American can identify with a new term called “Latinx” instead of having to use Latino/a. I found this to be a very positive change and am happy to see these types of changed occurring in our societies. It seems like a large part of what makes people disagree when it comes to groupings of people is because people can’t agree on definitions. For instance, a lot of people use “Hispanic” as a geographical term, which understandably confuses those who think of it as a linguistic term. As mentioned in the article, there is also some confusion as to what countries are included in Latin America. Adding more categories only further complicates the language we use, without addressing the initial disagreements on how to use broader terms. I also thought it was interesting that the mayan word xook and the german word schurke sound so similar and describe the same thing despite the countries of origin not being in contact when the words first started being used. What really surprised me about this article is that many people of African decent, lived in Latin America. There was about 130 million who lived there, and this was due to slave trade. It was a surprise that many countries in Latin America have deep African roots. And African heritage is also present in Latin American culture. This article opened my eyes to the basis around Latin America. Whenever I thought about Latin America the image of South America would pop up. I would think about 2 countries, Spain and Brazil. So if I thought about the cultures I would think about very delicious food and very fun and genuine people. Because of this article I found that the origins of Latin America culture and language came from a mix of Asian, European, Indigenous, and African people. Looking At this now I realize how diverse Latin America is and the history it holds.